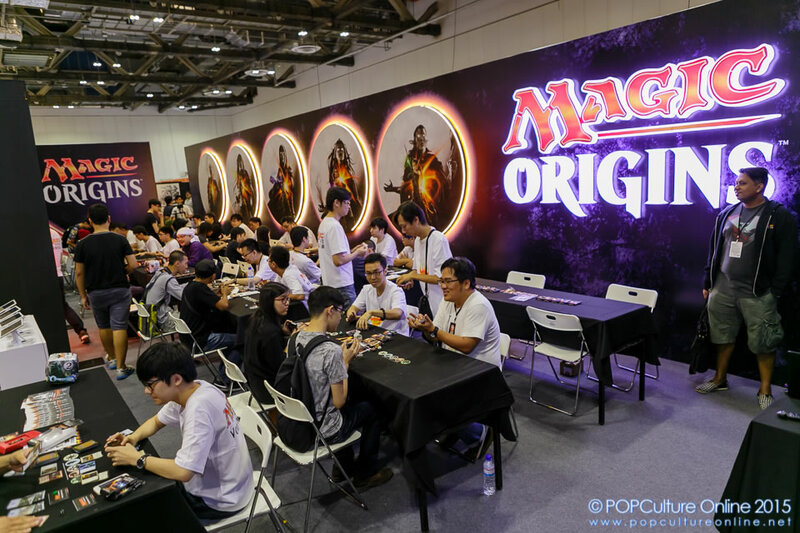 A significant addition to Singapore Toys, Games and Comics Convention (STGCC) this year would be the Magic the Gathering area that was set up in Hall C. When one enters Hall C of Marina Bay Sands Convention Centre, they would not miss the huge door way glowing with the printed images of planeswalkers, the main characters in the lore of Magic the Gathering, with the mysterious powers to travel through different worlds in the multiverse. 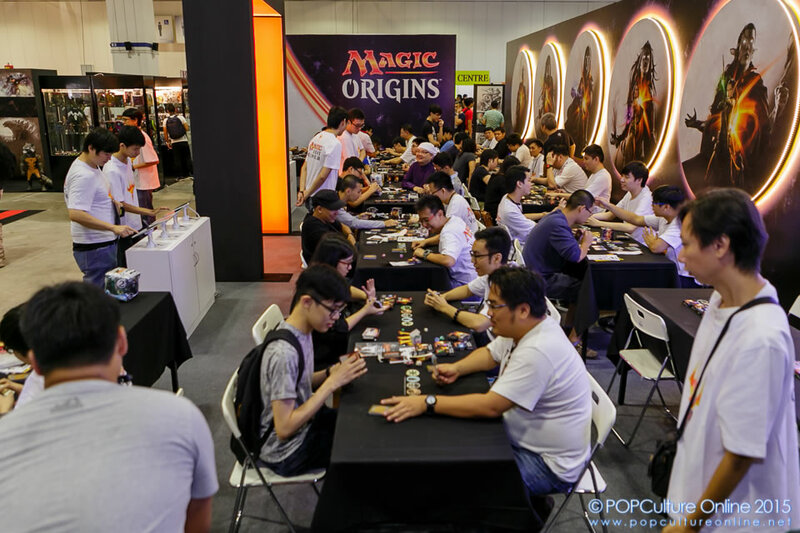 As a player of Magic the Gathering, you are one of these Planeswalkers that commune with the land for mana, or magical powers, that allow you to cast spells and summon creatures to do your bidding. 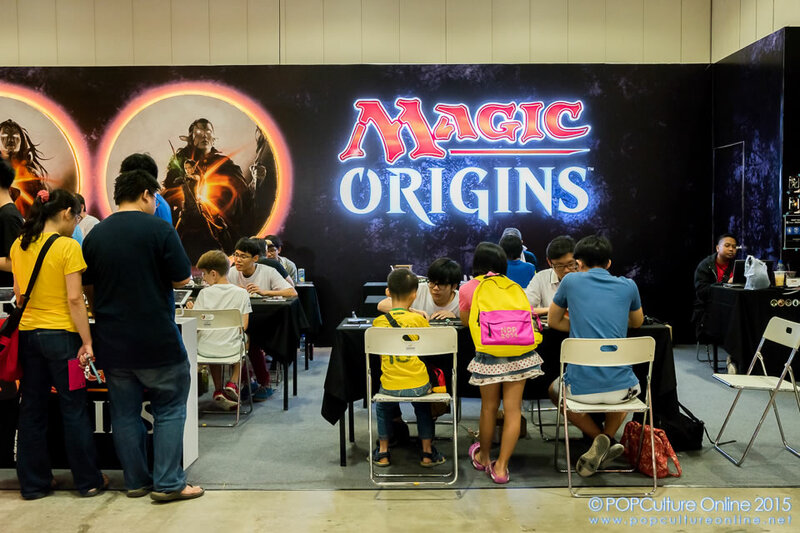 The Magic the Gathering booth that was set up at STGCC this year is targeted at beginners to the game. Armed with free starter packs made up of 30 cards (a typical deck used in a game of Magic has 60 cards in it), you get a free one to one lesson with one of the many volunteers on how to play the game. For those who of us who do not have time to play the game in real life, it is also possible to download the mobile game Magic: Duels from the Apple store or the Google Playstore. Do note that for those who have a bit more experience, the pacing of the online version may be a bit too slow for you. As somebody who have been crazily involved in playing the game for the past year, I was hoping that a card for the next set, Battle for Zendikar, will be spoiled at STGCC. In the meanwhile, I will continue to wait patiently at my local games store, building decks and slinging spells.